In case you didn't already know, we here at CHICKS ROCK! love few things more than a good book, and we're excited to announce that TWM is launching a summer book club! We've posted the details below so that you all can participate and get started this long weekend. TWM'S SIZZLING SUMMER BOOK CLUB! You asked for it, we've got it! Get away this summer with a captivating book each month and then join TWM Members and guests to discuss it over classic Italian cookies & pastries at Veniero's in the East Village! Includes coffee, tea or soda and an assortment of Italian pastries and cookies! 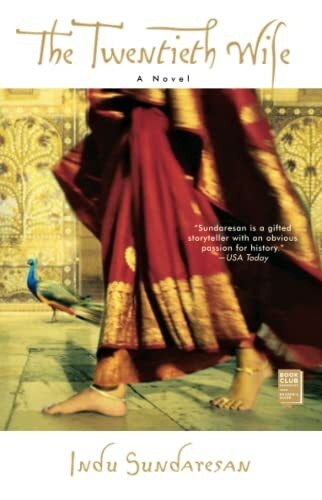 An enchanting historical epic of grand passion and adventure, this debut novel tells the captivating story of one of India's most controversial empresses - a woman whose brilliance and determination trumped myriad obstacles, and whose love shaped the course of the Mughal Empire. Skillfully blending the textures of historical reality with the rich and sensual imaginings of a timeless fairy tale, The Twentieth Wife sweeps readers up in Mehrunnisa's embattled love with Prince Salim, and in the bedazzling destiny of a woman - a legend in her own time - who was all but lost to history until now.